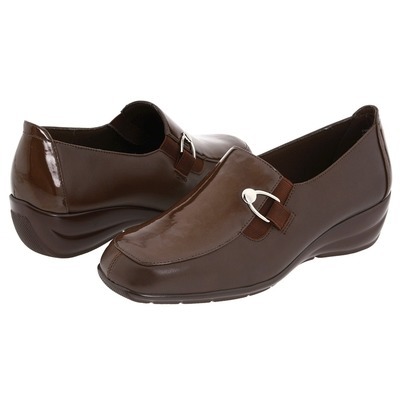 The modern Taffie loafer from Walking Cradles� has a classic styling and superior comfort that just won't quit! Smooth genuine leather with patent accents and chic hardware accent for a modern appeal. Slip-on construction with hidden gore panels for a snug, comfortable fit. Nylon lining feels great against the skin and offers all-day comfort. Tiny Pillow� footbed provides support and comfort with each step. Lightweight outsole offers stability to maintain your confident stride.